You can read a FREE sample of the book HERE (USA) and HERE (UK). The Beatles’ updated and expanded version of their best-of collection, The Beatles 1, has just been released in a variety of formats. The deluxe version (known as The Beatles 1+) includes a DVD or Blu-Ray of newly-restored videos for all of the songs featured on the original album. According to Apple Corps, an 18-person team of film and video technicians and restoration artists spent months undertaking painstaking frame-by-frame cleaning, colour-grading, digital enhancement and new edits for the videos. The movie classic Quadrophenia – based on The Who’s 1973 double-album rock opera – is set to become a fully immersive cinematic and theatrical experience which, the producers claim, will “plunge fans into the sights and sounds of 1964 and capture the spirit of the era”. Many of the film’s key stars will be taking part in the event which will be staged at London’s Eventim Apollo in Hammersmith on 11 February 2016. Joining Phil Daniels – who played the central role of disaffected Mod teenager Jimmy Cooper – will be Toyah Wilcox, Trevor Laird, Garry Cooper and Daniel Peacock. The stars will add an extra dimension to the event by sharing their memories in a special Q&A. As well as a screening of the 1979 film and the Q&A session, there will be staged re-enactments throughout the night of scenes from the film to conjure up the feel of the mid-60s era in which it is set. The all-important sounds of the day will be performed live by leading Who tribute act Who’s Who, and there will also be a display of Sixties memorabilia (including original Vespas and their real life Mod owners). Director Franc Roddam’s film is seen as a classic tale of alienation, disillusionment and escapism, as well as an important document capturing an important part of British youth history and rebellion. Watching the movie has been a rite of passage for millions since its release and the Mod era has been a source of fascination for generations, with its fashions and music continuing to resonate today. Quadrophenia reflected the real-life situation of the day as partisan teenagers in fish-tails and leathers sought excitement through large scale scuffles when Mods and Rockers clashed at British seaside resorts. Rolling Stone magazine has ranked the two-hour film as one of the top ten rock and roll movies of all time. 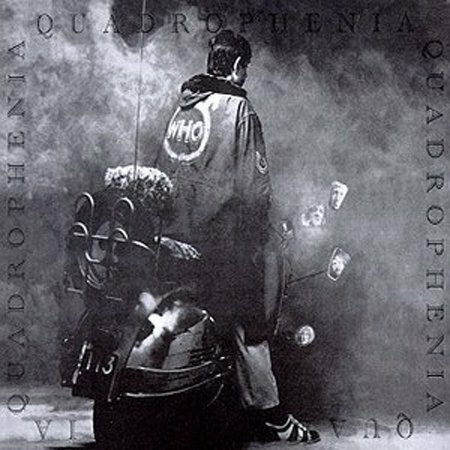 The soundtrack featured many of The Who’s songs from the original Quadrophenia album, including tracks such as ‘5.15’. Tickets for the immersive live performance are available from 9am on Friday 6 November at http://www.eventimapollo.com and http://www.axs.com. Standard ticket prices range from £30 to £43. VIP tickets £69.50. Apple Corps is set to release an updated version of the Beatles’ White Album on November 6 along with a DVD of performances of the songs from the original album. The DVD will include a previously unseen promotional video of the John Lennon song ‘Revolution’ which was the B-side of ‘Hey Jude’, released in August 1968 (you can watch the video below). ‘Revolution’ was inspired by the many political protests in early 1968. Two versions of the song were recorded: a hard rock version (the one heard on the B-side of ‘Hey Jude’) and a slower, bluesy arrangement (titled ‘Revolution 1′) for the Beatles’ self-titled double album, commonly known as the ‘White Album’. Although the single version was issued first, it was recorded several weeks after ‘Revolution 1’ as a re-make and was specifically intended for release as a single. A third connected piece, written by Lennon, is the experimental track ‘Revolution 9’, which evolved from an unused, spoken-word portion of ‘Revolution 1’. It also appears on the White Album. 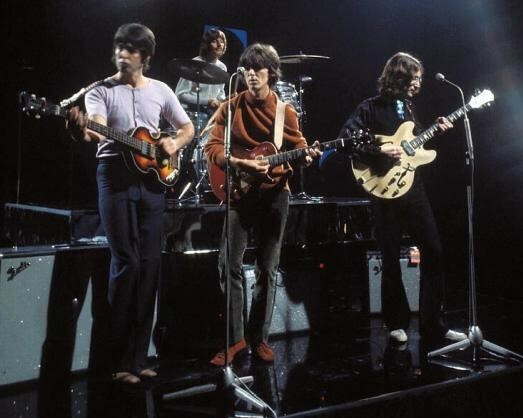 Filming for promotional clips of ‘Hey Jude’ and ‘Revolution’ took place on September 4, 1968 at Twickenham Film Studios in England, under the direction of Michael Lindsay-Hogg. Two finished clips of ‘Revolution’ were produced, with only lighting differences and other minor variations. The Beatles sang the vocals live over the pre-recorded instrumental track from the single version. Union Square Music has launched a new double-CD compilation which features the original versions of the Kinks classics performed in the award-winning stage musical Sunny Afternoon. All the tracks were specially selected by The Kinks’ Ray Davies. The musical Sunny Afternoon – named after The Kinks’ 1966 hit – uses songs by the band to tell the story of Ray Davies’s early life as well as the rise of the band he founded with his brother Dave in 1964. The musical has won four Olivier Awards. 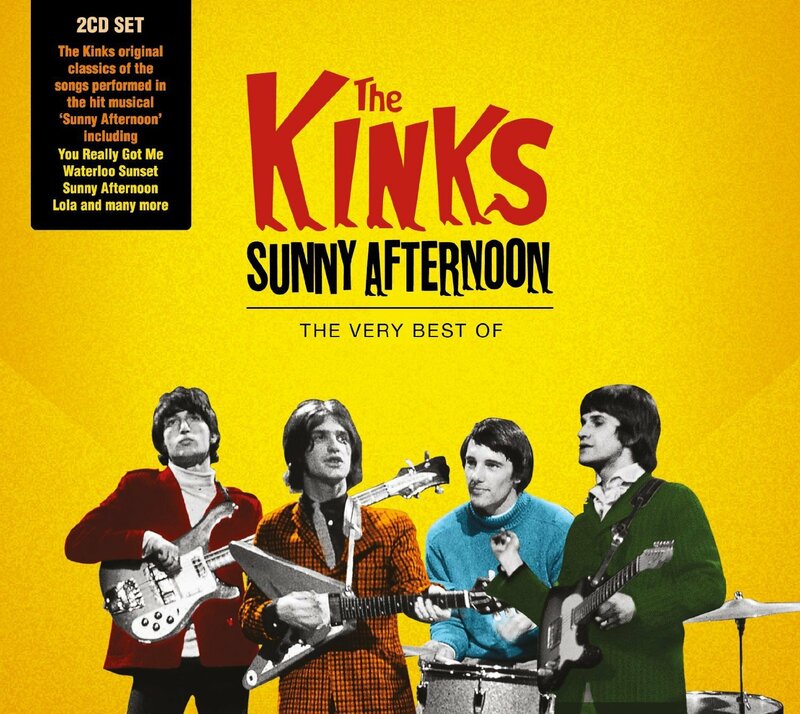 Titled Sunny Afternoon – The Very Best of The Kinks, the new compilation contains nine of The Kinks’ UK Top Five hit singles, including three Number Ones. It features tracks such as ‘You Really Got Me’, ‘Waterloo Sunset’, ‘Sunny Afternoon’, and ‘Lola’. It also includes Kinks interviews and session tracks from the BBC’s archives. The Kinks’ influence is now seen across a wide range of rock acts, such as The Who, Bruce Springsteen, The Jam, The Pretenders, Tom Petty, XTC and Elvis Costello – all of whom have paid homage to The Kinks at some point in covers or accolades. With this year marking the 100th anniversary of the birth of guitar legend Les Paul, guitar manufacturer Gibson is partnering with Q Magazine to present the Gibson Les Paul Award as part of this year’s Q Awards, which take place on October 19 in London. The iconic Gibson Les Paul guitar is one of the most famous instruments in rock history and the Gibson Les Paul Award is presented to specially recognise guitar playing and innovation. 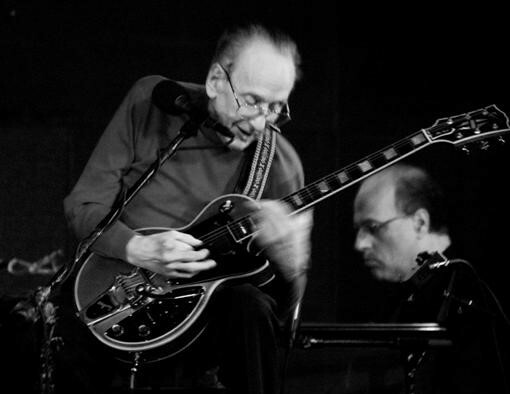 Les Paul is named as one of Rolling Stone magazine’s 100 Greatest Guitarists of all time. His innovative talents extended into his playing style – including licks, trills, chording sequences, fretting techniques and timing – which set him apart from his contemporaries and continue to inspire many guitarists today. During his career he received 36 Gold records, eleven No.1 hits and several Grammy awards, among many other accolades. He was also a pioneer in the development of multi-track recording, over-dubbing and numerous other recording techniques. 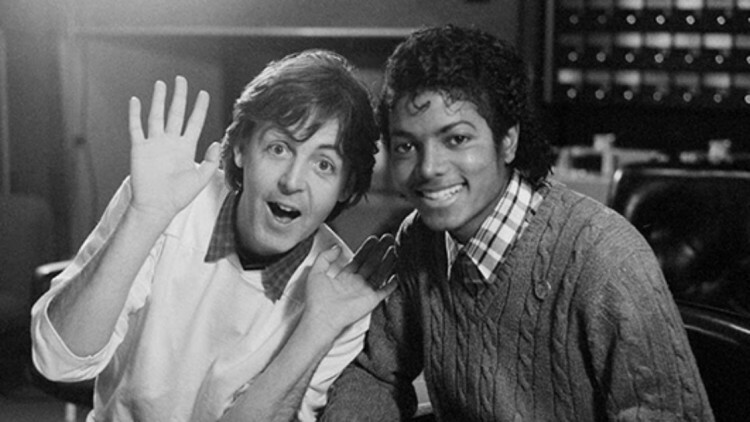 To pave the way for a remixed, deluxe edition of his classic album Pipes of Peace, Paul McCartney has released a remix of his 1983 hit with Michael Jackson, ‘Say, Say, Say’, which was originally produced by George Martin. The song became Jackson’s seventh Top 10 hit in a year. In the video below, McCartney talks to Manic Street Preachers’ frontman James Dean Bradfield about what it was like to write songs such as ‘Say, Say, Say’ with Michael Jackson. McCartney reveals that the song was written quickly, with Jackson and himself face-to-face around a piano in the former Beatle’s London office. 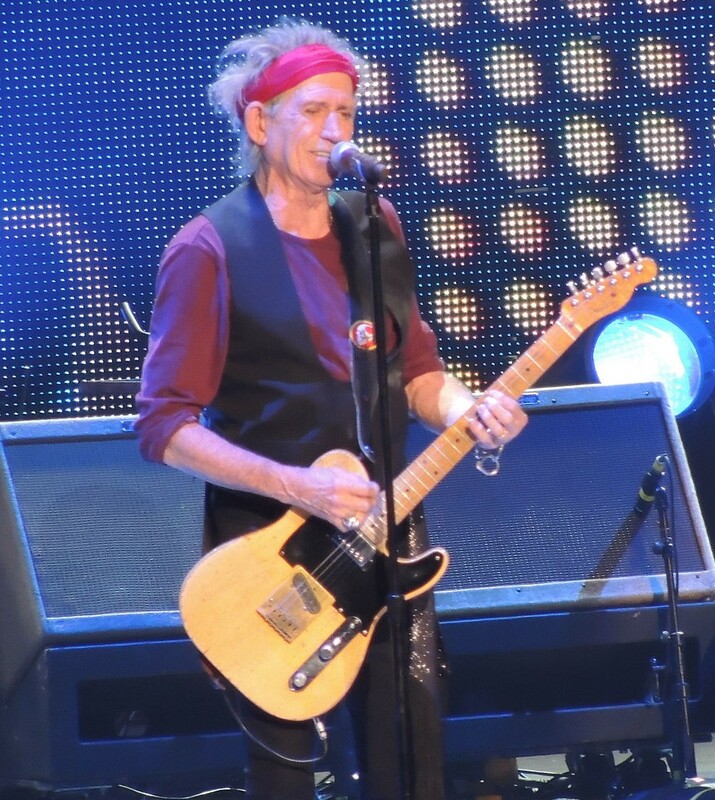 The Rolling Stones’ Keith Richards has laid into fellow Sixties bands Led Zeppelin and The Who during an interview with Rolling Stone magazine. The 71-year-old Stones legend reportedly described Led Zeppelin as “hollow” and said The Who were a “crazy” band and their frontman Roger Daltrey was “all flash”. Richards revealed he has never been a fan of Led Zeppelin and while he thinks Jimmy Page is a great guitarist he doesn’t like him when he’s performing with the other members of the band. What would YOU give to save the life of a stranger’s child? That’s the emotive question posed by this heartwarming novel of selfless courage, a quest for forgiveness, and a Swinging Sixties first love that never grew old.